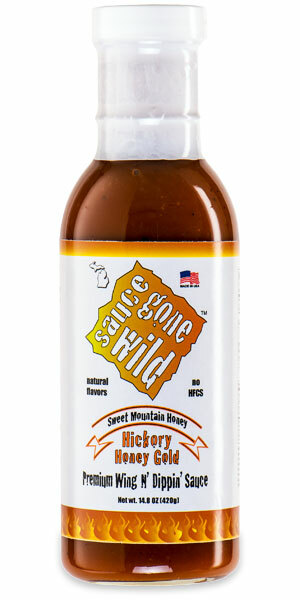 The premium Hickory Honey Mustard “gold” sauce you’re holding right now is more than a wing and dippin’ sauce- it’s a “party in a bottle”! 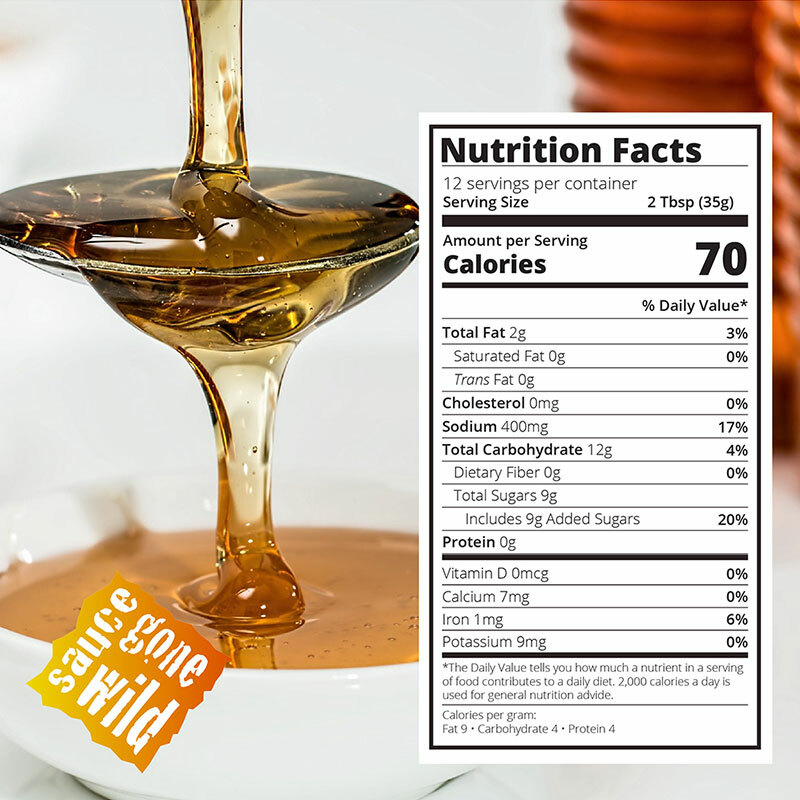 FIRST, we get the party started by mixing up a WILD blend of hickory smoke, real honey, and secret spices for a sweet, yet spicy base. THEN, we add the tangy pop of vinegar, a pinch of mustard, and a dash of cayenne for kick, making this sauce truly WILD! Next, the party’s kickin’ the moment you begin “sauce-tossing” your wings, “dippin’ your chicken”, or “slather-blasting” your favorite foods!